SEALgrinderPT.com was founded by Brad McLeod in June 2010. The website is dedicated to working out and improving your mind and body to unleash the inner warrior in you. 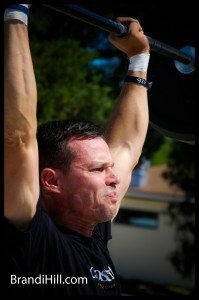 The grinder PT is a mixture of the same exercises that SEAL recruits perform on a daily basis at the BUD/S training camp in Coronado, California. 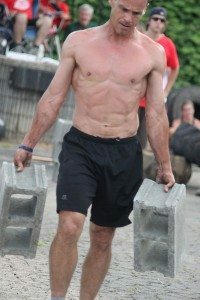 We are also throwing in a few CrossFit style drills, some exercises from SEALFit and a few others you may not have seen before (just post a comment or email and we will provide more info). The beauty of SGPT is that you can do it at home, in your driveway, at the barracks, on the flight deck of your ship, at a CrossFit gym, at a Globo-gym (gasp! ), in your driveway (your own grinder) or just find a local grinder (basketball court at at playground) and make it your kingdom. Wherever your at – you can make this workout happen and move towards your goals of being fit both physically and mentally. Our philosophy on workouts is to try to keep as many functional movements as possible that have carry over to your day to day sport or occupation. This may mean using CrossFit movements, SEALFit workouts and SEAL grinder PT. If you need to supplement these workouts with strength bias workouts (deep heavy squats, shoulder press, bench press, dead lifts and heavy cleans) then we encourage you to do that. Working out is a way of life and I have always been a gym rat set on improving my body and mind. I am a big fan of hard work, dedication and mental toughness. Along the way I have learned many exercises that have helped me and I wanted to share with others to achieve their goals also. Coming out of high school I had no athletic ability other than skateboarding. When I told other people I was going in the Navy to be a SEAL – they would burst out laughing and tell me I would never make it. If I listened to them I would have stayed where I was and not progressed. Deep down I knew I could make it and set out on my inner journey to slay the dragon. I graduated from SEAL training in BUD/S class 132 against all odds and having failed out the first time through for a math test (I had been through Hell Week and was dropped in second phase). Despite having no athletic background and having life long asthma I climbed my personal Mount Everest and made it through BUD/S the second time (I spent close to 10 (yes, ten) months in BUD/S in total going through Hell Week twice – and went on to serve on SEAL Team 4. Although I lacked physical ability I was determined not to quit and worked hard to mentally stay in the game and succeed. The saying at BUD/S is “The only easy day was yesterday” . That became my mantra as it was drilled into my head. You can see those words on the building in the photo as I line up to graduate. 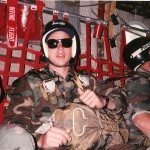 At SEAL Team 4 in Little Creek, Virginia, I worked as a Radio-man and also packed parachutes. I had a killer time in the Teams and enjoyed every minute of it being deployed to Puerto Rico and visiting islands in that area. I went on to serve one year in the reserves back in Coronado with the SEAL reserve unit there. 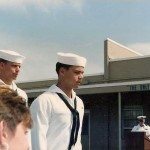 I spent a total of 6 years in the Navy and achieved the rank of Radioman second class (E-5). This would set the stage for how I would live the rest of my life. I would always push forward and ignore the naysayers that try to take you down and become whoever I want to be in life. 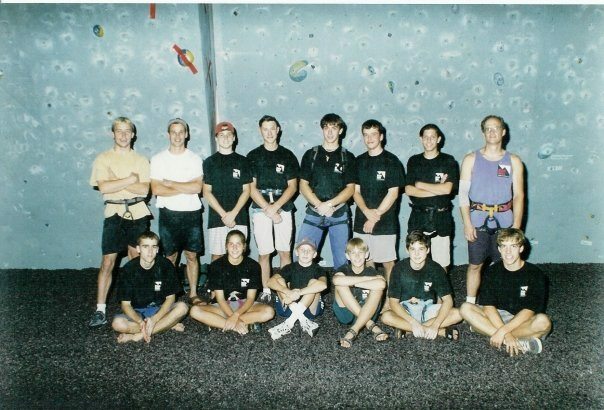 Since my time in the Teams, I have worked as an Outward Bound instructor, Atlanta Rocks youth climbing team coach and in recent years as a CrossFit trainer at a local gym CrossFit Perimeter. 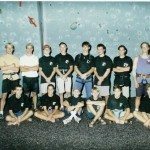 During my time in college at the University of Georgia I worked for 4 years in the Outdoor Recreation Program teaching rock climbing and caving. I have grown to love climbing and kayaking as my outdoor pursuits and have gained strength from the power of nature. I have trained hundreds of athletes in both CrossFit and SEAL style PT workouts with lots of stretching, yoga and body weight exercises. After having many students ask for copies and notes of my workouts, I started to write down my SEAL workouts and post up for athletes to check out. Eventually this led to a blog and a highly trafficked website. The goal was always to help other athletes learn and share the knowledge. I encourage you to copy and download the SEAL grinder PT workouts (on the SGPT main webpage) and perform them daily to improve your cardio, body weight strength, running speed, overall balance, stretching and agility. Post up comments if you have specific questions about the exercises and I will post instructions as needed. To become a SEALFit certified trainer and help other athletes achieve their goals. Whats your goal? How can I help you achieve it? What are your stats? How can I help you achieve them? Imagine blowing away your current scores and shedding the skin of your former self and stepping into the new and improved you. I look forward to helping you reach your fitness goals. Favorite music stations on my Iphone with Pandora streaming while working out are – Foo Fighters, Snow Patrol, The Killers, Third Eye Blind, Bare Naked Ladies, New Wave 80’s. Grew up in Tallahassee, Fla., but was born in Thomasville, Georgia at Grady hospital. Pastimes: When I am not working out I am spending time with family, mountain biking and spending time in the woods with my dogs. Ashley McLeod during a CrossFit team competition in Jacksonville, Florida. Check out these questions from athletes around the world. Question: Who is Brad McLeod? Read above and you will find out. 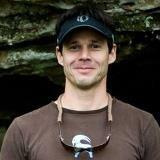 Question: Is Brad McLeod a phony Navy SEAL? 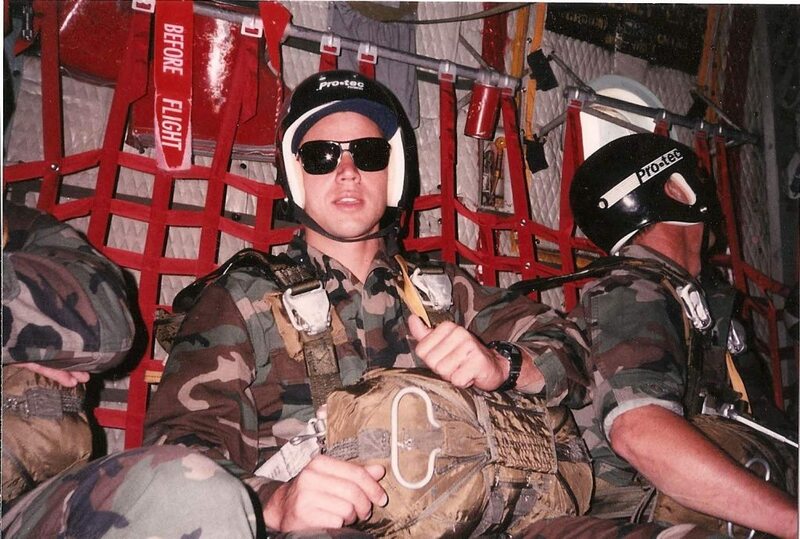 Brad graduated BUDS class 132 (May 1983) and served at SEAL Team 4. Question: What was life like for you in the Teams? I traveled a lot and was training to shoot, dive, climb, and parachute every week. Never a dull moment. I worked out a lot, learn my job and tried to read as many books as I could. Question: Did you have a family then? No, I was a single guy. Question: How much did you weigh going into BUDS? What were your PST scores? I weighed 170 lbs (what I weigh now) and my PST scores were the bare minimum to get into BUDS. Question: How many push ups could you do in a row? Not that many — maybe 50 or so? I was not that good of an athlete but I tried to never quit. Question: Did you use supplements before or during BUDS? I took a multi-vitamin and fish oil. I tried to eat a diet in moderation but mostly food from the chow hall. Question: How old is brad mcleod? He was born on February 23, 1963 – so you can do the math. Question: What year did you get out of the Navy and why? I finished up my contract in November 1988 after 6 years. The Navy was going to pay for my school so I enrolled at San Diego Mesa college. Question: Is there a Brad McLeod wikipedia page? Not sure about that. Question: What made you come to the conclusion that you wanted to be a SEAL? When you decided, did you have people doubt you and if so how did you deal with that? I read the book “Everything We Had” by Al Santoli. There was a chapter in that book about “The Men with Green Faces”. People doubted me but I did not care. I really wanted to be a. FROGMAN. Question: How long did you train prior to BUD/s? Also, did you swim a lot? 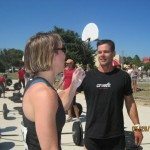 I trained about a year or more for BUDS but did not train the right way as I lifted weights in a bodybuilding gym (with mirrors and air conditioning). I did not ruck at all and rarely ran. I did not swim much to prepare. I made a lot of mistakes. SEALgrinderPT can provide you with custom workouts and programs to increase your strength, flexibility, lower your running times and increase speed. For more info check out www.sealgrinderpt.com/coachin// or email at brad@sealgrinderpt.com to get started today.